There are very few employment opportunities, even for someone as highly educated as Deacon Andrei Psarev, who is pursuing a PhD in Byzantine studies and writing a unique textbook on the history of our Church, so he can serve ROCOR even better. “If someone told me 20 years ago that I would be bringing up three kids, and supporting my wife and my mother-in-law, while working three jobs and writing my PhD thesis, I’d never have believed them,” he said. With five people depending on him for survival, Fr Andrei is not simply trying to pay a few extra bills – he struggles to feed his family. No matter how much they scrimp and save, they need to cover a significant deficit every single month. “Our family has no savings at all. Last year I had to work three low-paying jobs on top of my duties as a professor. This is a matter of mere survival. As a result, I have been unable to apply myself to my academic projects,” he said. Aside from his teaching, Fr Andrei’s biggest contribution to the Church is his website: ROCORstudies.org, which combines rare historical material with deep scholarly analysis– the only one of its kind in the world. Church scholars all over the world have come to depend on this site for unique historical information, interviews and photos, most of which are not available anywhere else. “A unique resource for historians and anyone wishing to gain firsthand knowledge, it is perhaps the most important and accessible contribution to the history of the Russian Orthodox Church Outside of Russia,” says Prof. Nadieszda Kizenko, University at Albany. 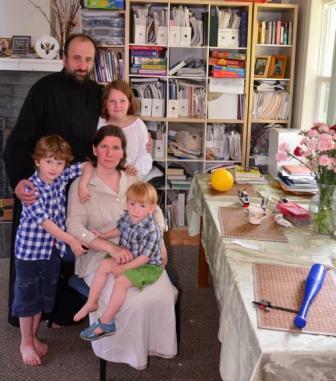 A steadfast dedication to the Church has led Fr Andrei Psarev and his family of five to settle in Jordanville, NY, within a short distance from Holy Trinity Monastery. He serves at the monastery and teaches future clergymen at Holy Trinity Seminary and the Pastoral School of Chicago. And if his poverty prevents him from serving the Church, what were all the years of suffering for? 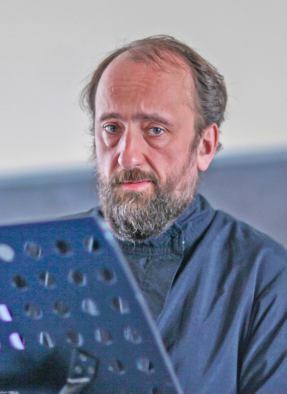 Although we are not in a position to solve his main problem yet, with your generous help, we’ve been able to help Fr Andrei and all the church scholars who love and use his website! Thanks to your generosity, Fr Andrei received a small stipend. This allowed him to work on his dissertation, search for new historical materials, and update his incredibly useful site. We are so grateful to you, our donors, for giving us the opportunity to help this amazing person. Because he is doing what nobody else seems to be doing in the world (at least to such a degree) – he dedicated his life to the history of our Church! Make sure our Church gets the support She needs! Donate now!